Scent: Earthy, exotic, fresh, herbaceous, sensual, spicy, slightly smokey, sweet and floral. Action: Analgesic, anti-inflammatory, rejuvenating, relaxing, antibacterial, antifungal, antiseptic, antispasmodic, antiviral, anti-anxiety, carminative, cooling, immunostimulant, insect repellent, tonic, antineuralgic, diuretic, febrifuge, laxative, rubefacient, stimulant, vermifuge. Benefits, Indications: Plai is a member of the ginger family but more potent. 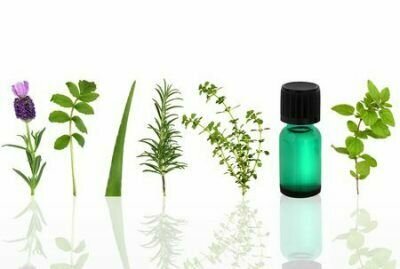 Due to it's very high levels of Terpinine-4ol (the component that gives Tea Tree its antimicrobial properties) Plai is known as an exceptionally great ‘all-around' healing oil. Plai is soothing and cooling making it a highly reached-for oil by Thai massage therapists needing a quick and extraordinarily long lasting analgesic solution with conditions of arthritis, rheumatism, and sports related tendinitis. Because of its analgesic and anti-inflammatory effects Plai is an excellent addition in sports injury related massage oils. It is also useful for post-operative pain and inflammation and its powerful analgesic properties are reported to ease pain for up to 16-20 hours. It can help to settle digestive problems such as nausea, stomach cramps, flatulence, constipation, diarrhea and irritable bowel syndrome (IBS). Its anti-spasmodic action is also beneficial for period pains. It can also help to stimulate the immune system and boost vitality. Its antimicrobial properties are effective in fighting infection and it can also be helpful for respiratory problems such as asthma, catarrh, chronic colds and flu. Plai is still a relatively little known oil and doesn't yet have a long history of use. Aromatherapists are still collecting data as to its properties and potential applications.